The internationally recognized spa at Grand Velas Riviera Maya now offers guests the Uumbal Shawl Massage, a full-body treatment with creative choreography dating back to prehistoric times. The internationally recognized spa at Grand Velas Riviera Maya now offers guests the Úumbal Shawl Massage, a full-body treatment with creative choreography dating back to prehistoric times. Using lemons to apply pressure and authentic Mexican shawls for stretching, the signature treatment aligns body posture and cleans energy channels from head to toe. 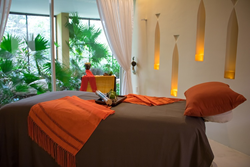 The treatment is the latest addition to the Spa’s Flavors and Traditions of Mexico Path, which also features the Bacal Massage, using one of the Mayan’s most sacred plants - corn, a Mayan Jade Facial, and the Coffee & Cocoa Experience, an exfoliation and massage with both native Mexican products. The 80-minute Úumbal Shawl Massage treatment costs $236 USD. For reservations or additional information, please call 1-888-407-4869 or visit http://www.rivieramaya.grandvelas.com. Voted "Best Spa in the World" by Virtuoso in 2010, The Spa at Grand Velas Riviera Maya is 90,000 square feet, inclusive of separate hydrotherapy facilities for men and women. 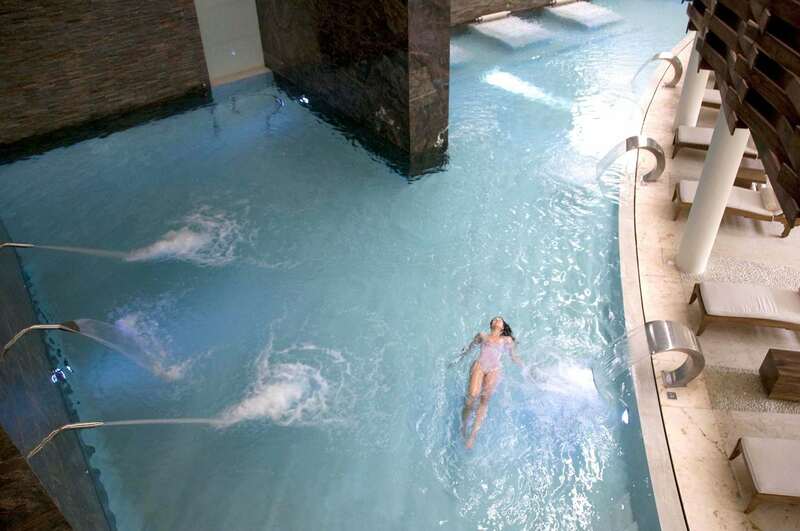 Included with any treatment 50 minutes or more, the Hydrothermal Journey at the Leading Spa is composed of seven different water experiences, including a sauna, color therapy steam, clay room, ice room, experiences showers, polar pool and experience pool with various water elements. The Spas at Velas Resorts have won numerous industry awards, including Most Excellent Spa Hotel by Condé Nast Johansens, Virtuoso's Best Spa in the World, Trip Advisor Traveler's Choice Award for Best Spa Hotel, a SpaFinder Readers' Choice, and Travel + Leisure's Best Spas, among others. For more details and spa specials, visit http://www.luxuryspamexico.com.